Think about all the ways you use a map. To get GPS directions on your phone. To estimate your Uber/Lyft drive ETA. To find a restaurant or gate at an unfamiliar airport. To track your kids and their location via their cell phone. To find that country that you have always wanted to visit. And the list goes one. There are many other uses, but in its simplest form, a map tells you where something is located, and gives you an idea of how to get to that point. The best thing about a map, is that is tangible. You are not just navigating by landmarks and road signs. Additionally, a map provides insight and scale. So why does one consult a map? Because one lacks the specific knowledge to carry out a specific task. Imagine then, if you will, a tool that identifies the location, owner, and knowledge gaps that exist within a process, a cross-functional process, or across the enterprise. Well, there is one, and we call it a knowledge map. 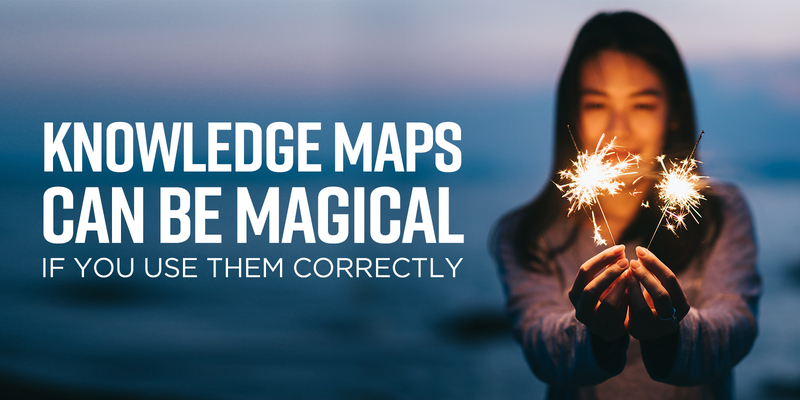 The specifics of a knowledge map, and how they can be used are located here. Recently, we were working with a small, but highly knowledge intensive organization. The organization provides funding for scientific research using three different research arms. What we learned was that there was no tracking mechanism or knowledge passed between the individual research arms. For example, if you applied to research arm A, and they turned your research request down, there is nothing in place to let the other arms know. So, you could, consequently, apply to research arm B and C with some modifications to your proposal. And there would be a good chance that one of those research arms might fund your request. The organization also didn't have central database of researchers they were marketing to, so a researcher might receive multiple invites to different events on the same night. We helped the organization develop an enterprise knowledge map that highlighted these issues, among others. The map highlighted the knowledge needed throughout the organization, and work with the on-site "core KM team" make that knowledge flow. One way this organization is going to do that is through an enterprise CRM. The enterprise knowledge map also identified some deficiencies within the functions, so if an enterprise knowledge map seems like a large undertaking, you don't have to start that big. A functional or process knowledge map can identify where knowledge is "sticky." The functional or process maps are where we typically engage with clients because that kind of map can quickly identify areas of pain in a process that leadership might recognize has a problem but need to understand where the challenges exist. Back to our client example. Now that our client knows what knowledge gaps exist, the roadmap can be put in place to close those gaps. The roadmap (outlining targeted activities and processes) is used to increase the knowledge flow, and drive towards more efficiently and effective business operations. What is your experience with knowledge maps? Have you used them? Are you hesitant because you are unsure of the value? Let me know in your comments. 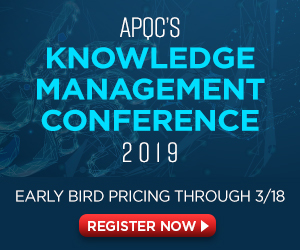 If you are interested in learning more about this tool, and how to apply it in your organization, come visit me April 29 - May 1 at APQC Knowledge Management Conference. We will be hosting a half-day workshop that will bring this tool to life for you, plus many more workshops that will build your expertise in KM.